For most people growing plants might not seem too exciting, but for those of us that love gardening and indoor growing it’s a whole different story. With the various advancements in technology happening every day it’s bound to get a whole lot more interesting in the near future as well. In this last article in our series of informational articles I thought it would be interesting to take a look at what the future may hold for grow operations and whether or not it’s likely to result in greater crop yields once these technologies are in wider use. We use our smart phones every day and quite often for some interesting applications. It’s not unusual, for example, to use your smart phone from work to set up a timer on your PVR for a program you forgot to record. 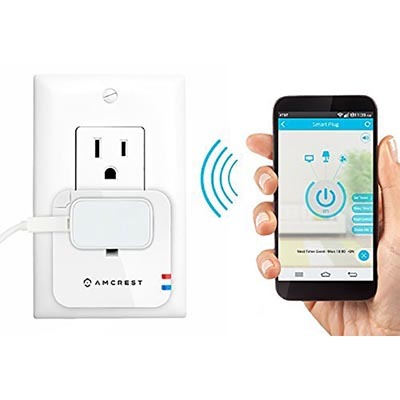 You might also use your smart phone to control your home thermostat so that it’s nice and cool when you get home from a hard day’s work in the hot sun – these are technologies that exist right now. In this article we’re going to look at how these types of technologies might affect the indoor growing industry in the near future. Preset timers are something that have been used for growing plants for a long time, but it’s only in recent years that they’ve been used for anything close to their fullest potential. Traditional timer systems involved physical systems that you had to manually adjust at the physical location of your growing operation – you couldn’t do anything remotely. These were still very useful as long as you knew what you wanted to accomplish ahead of time, but you couldn’t make any real time adjustments if you weren’t on site. Timers are great, for example, to make slight adjustments to the light in your greenhouse over several hours to simulate normal outside conditions. Almost everyone has some sort of home Wi-Fi network at this point and this technology is now being used in some of the more advanced indoor growing operations to allow you quick access to lighting controls, climate controls, and just about anything else you can think of in relation to your indoor grow operation. This type of network is excellent if you want to make slight adjustments when you’re on site, but Wi-Fi has a limited range and it won’t do you much good if you’re not on site. It allows you more control than the traditional timer setup that we’ve already discussed above, but you still need to be relatively close. Where things really get interesting is when you tap into the apps available on your smart phone that can help you to control your grow operation remotely. One great example of this type of app is the Growtronix all in one system, which allows you to control the lighting, temperature, humidity, CO2 levels, and many other things remotely, using their app. This app can be connected to various computer-controlled systems in indoor grow operations to monitor these levels and make adjustments when necessary. This means you can react to problems much quicker than in the past, even when you’re not on site. Systems such as the one we’ve just discussed that allow you to tap into your smart phone and access your operation remotely are fantastic, but they still require you to keep a close eye on things. While no real system exists today, I don’t think it’s unrealistic to expect that in the near future artificial intelligence systems will take over that monitoring process for you. In this not-too-distant future you’ll no longer have to worry about checking your app every hour or so to make sure everything’s okay, as the artificial intelligence system will do this for you. Perhaps if there is a serious problem you can set it up to notify you, but other than that it can go about its business and simply provide you with a report from time to time. What this means for you and your operation is quicker response times and greater productivity out of your plants. This might seem like science fiction, but this type of system is already being looked into for many different applications. There are probably a whole host of other technologies being considered for indoor grow operations that we haven’t even mentioned here. What we’ve talked about here are simply a few technologies and ideas to keep an eye on over the next few years. We are certainly living in exciting times for any industry, and that includes the indoor plant growing industry.